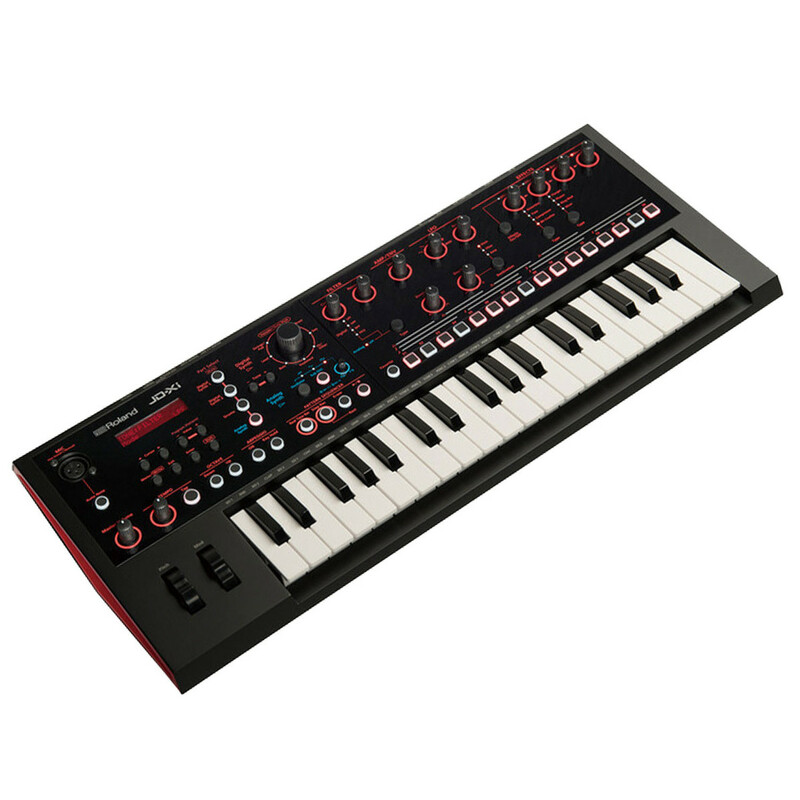 The Roland JD-Xi Interactive Analog/Digital Crossover Synth is a powerful compact Synth with onboard pattern sequencer and vocal FX. 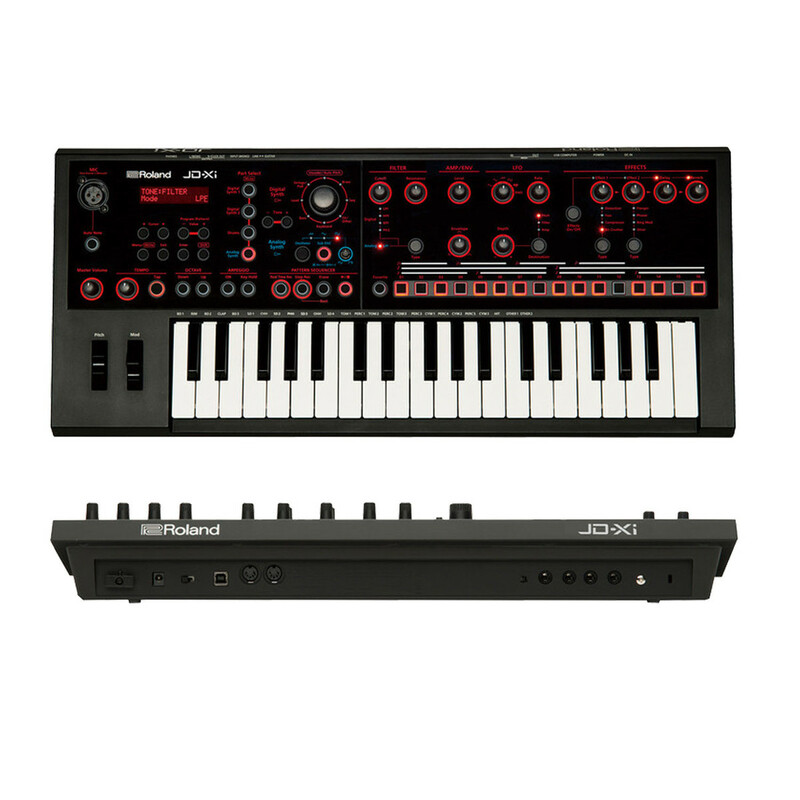 Tiny, mighty, and affordable, the JD-Xi puts a true analog synth engine, Roland's famous SuperNATURAL synth sounds, and many other creative tools under one hood. Equipped with 37 mini keys, this compact instrument delivers fat, warm analog bass and lead tones with ample controls for hands-on tweaking, plus polyphonic PCM essentials like pads, strings, brass and more. Create impressive loops in a flash with the pattern sequencer and built-in drum kits and explore expressive vocal textures with the gooseneck mic, Vocoder, and AutoPitch. 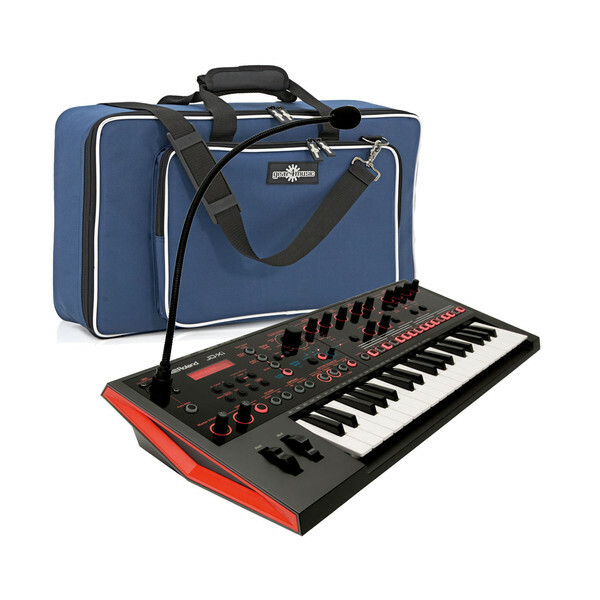 Small in size and large in versatility, the JD-Xi is all about big sounds and big fun! 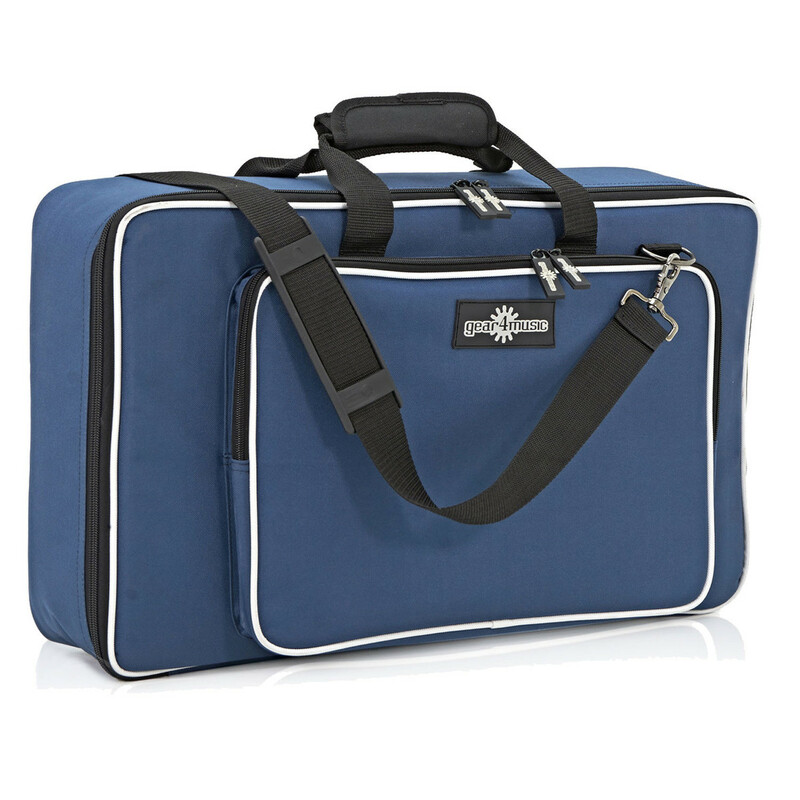 This bundle includes a Gear4music padded gig bag. Using the intuitive pattern sequencer and large selection of onboard sounds. The sequencer offers four separate tracks-two digital synth parts, analog synth, and drums-allowing you to build rich-sounding loops for any genre. Real-time and step recording modes are provided, along with a special TR-REC mode for programming in the style of Roland's classic TR-series beatboxes. It's easy to play patterns and tweak sounds as you perform, and many preset patterns are built in for jamming right out of the box.